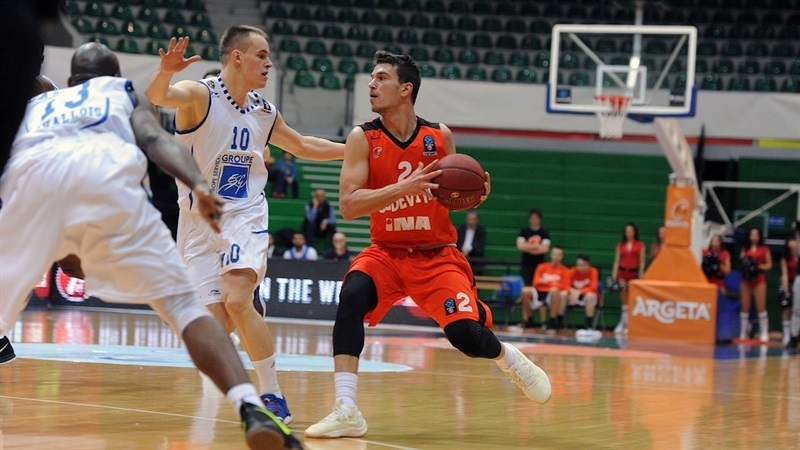 Cedevita Zagreb finished third in Group A of the 7DAYS EuroCup Regular Season by topping Levallois Metropolitans 94-79 in the Croatian capital on Wednesday. 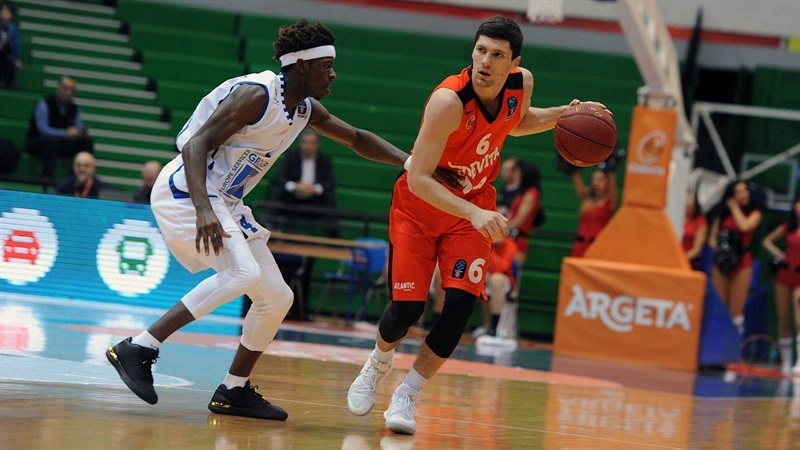 Cedevita finished the regular season with a 5-5 record in Group A and claimed third place over Fiat Turin due to its tie-break advantage against the Italian club. Levallois was sixth with a 2-8 record. 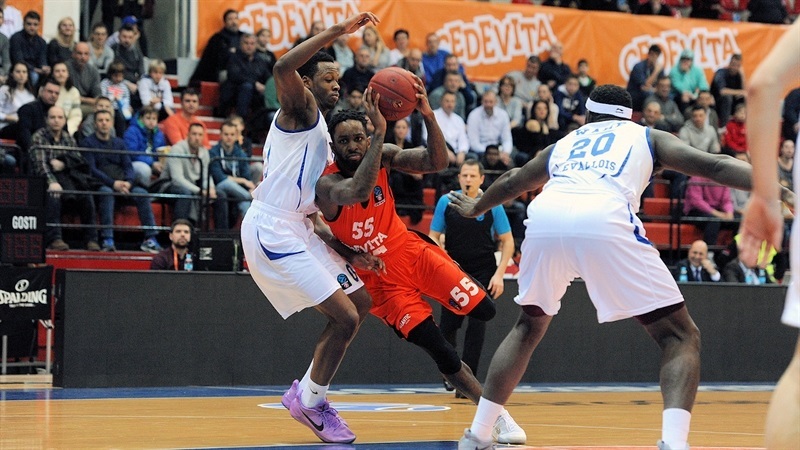 Will Cherry led the winners with 19 points, Dzanan Musa added 17, Damir Markota had 14 and Kevin Murphy and Karlo Zganec each scored 10 for Cedevita. 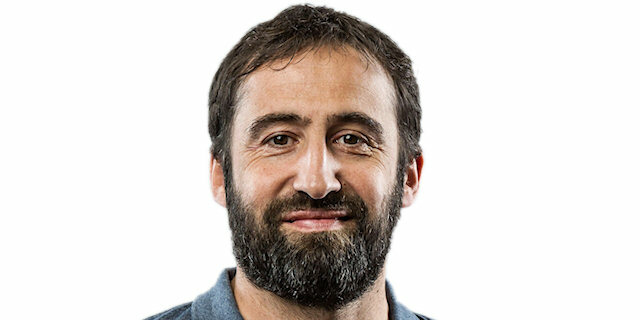 Klemen Prepelic led Levallois with 26 points, Gavin Ware added 14, Louis Campbell had 11 and Travis Leslie 10 for the guests. 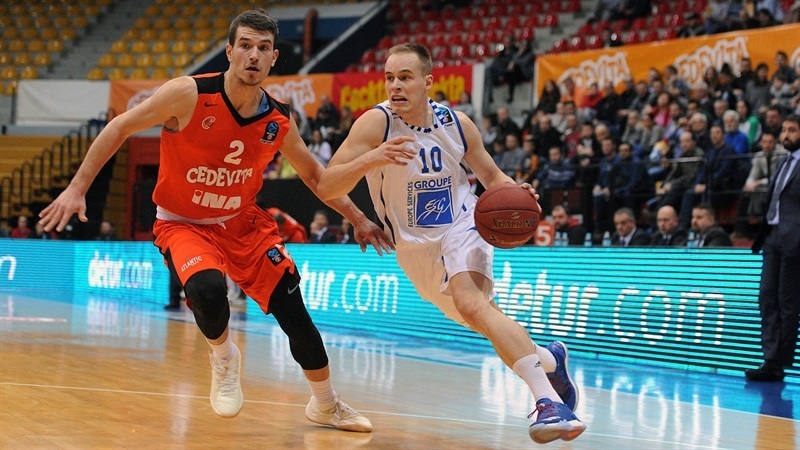 Cedevita dished 27 assists - a new EuroCup club record, and committed only 11 turnovers. 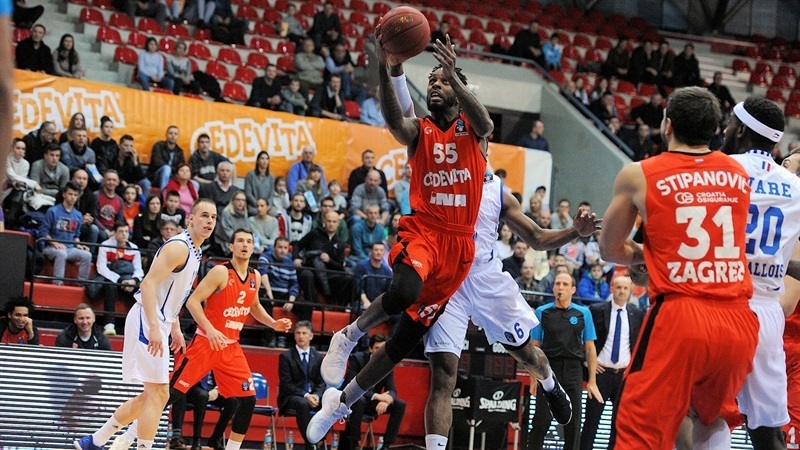 Cedevita opened the game with a 12-0 run and Filip Kruslin and Cherry pushed the hosts to 23-4. 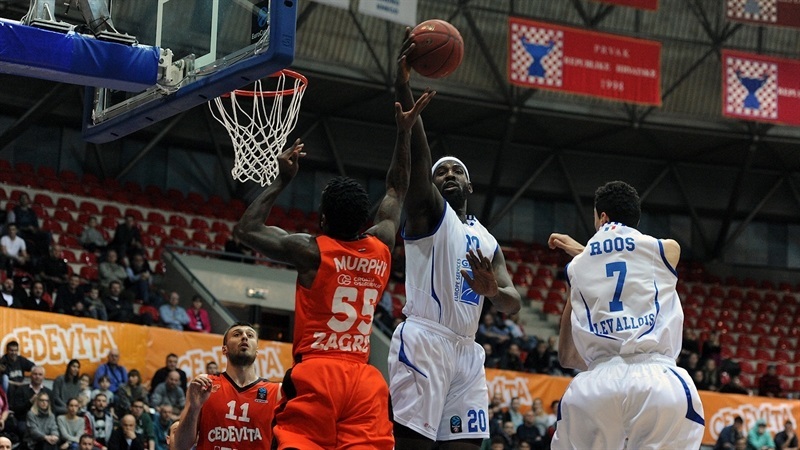 Cherry got help from Dzanan Musa and Nik Slavica for a 33-11 Cedevita lead after 10 minutes. A layup by Musa soon made it a 27-point game. Levallois improved its defense, as Ware and Prepelic rallied the guests to within 57-42 at halftime. A three-pointer by Campbell brought Levallois as close as 59-50 in the third quarter and the visitors got within 72-67 in the fourth, but Cherry and Musa stepped up in crunch time to seal a well-deserved win. Murphy and Kruslin each struck from downtown in a 12-0 opening run which Andrija Stipanovic capped with a dunk. 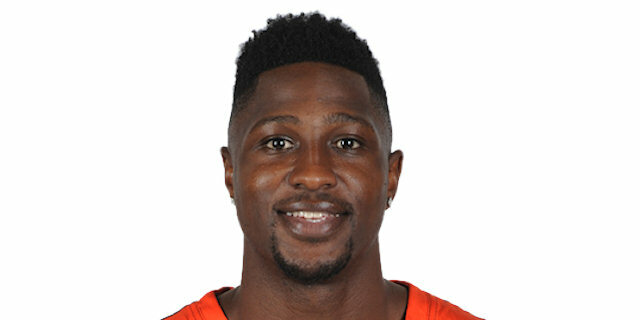 Ware stepped up for Levallois with a jumper, but Cherry followed a three-pointer with a put-back layup, Kruslin connected from beyond the arc and Stipanovic scored again for a 23-4 Cedevita lead. 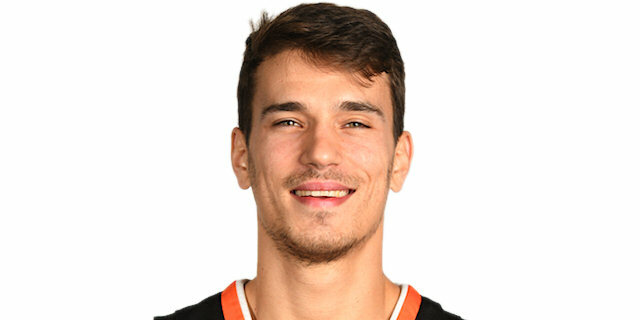 Ware and Sylvain Francisco tried to change things for the guests, but Cherry pushed Cedevita forward with back-to-back layups, Musa added a pair of driving baskets and a buzzer-beating alley-oop tip-in by Slavica made it 33-11 after 10 minutes. 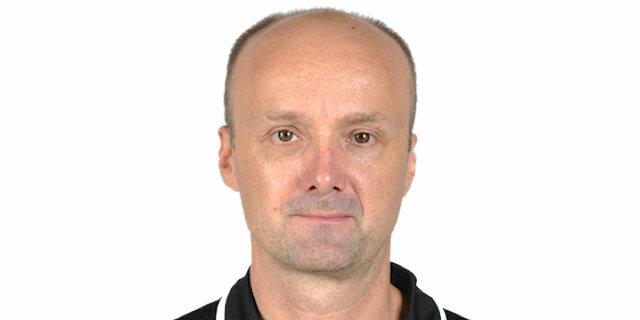 Ivan Fevrier tried to change things for the guests with free throws early in the second quarter, but Slavica and Markota ignited an 8-0 run that Musa capped with a layup that broke the game open, 41-14. 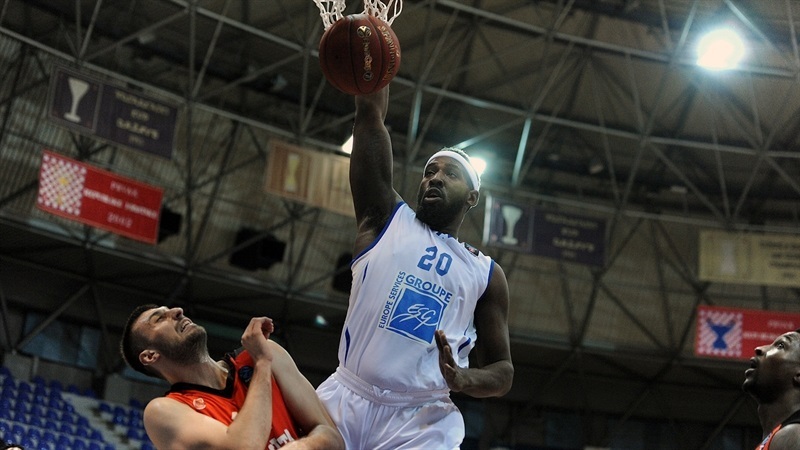 Roderick Odom and Prepelic stepped up for Levallois, bringing the guests within 44-28. 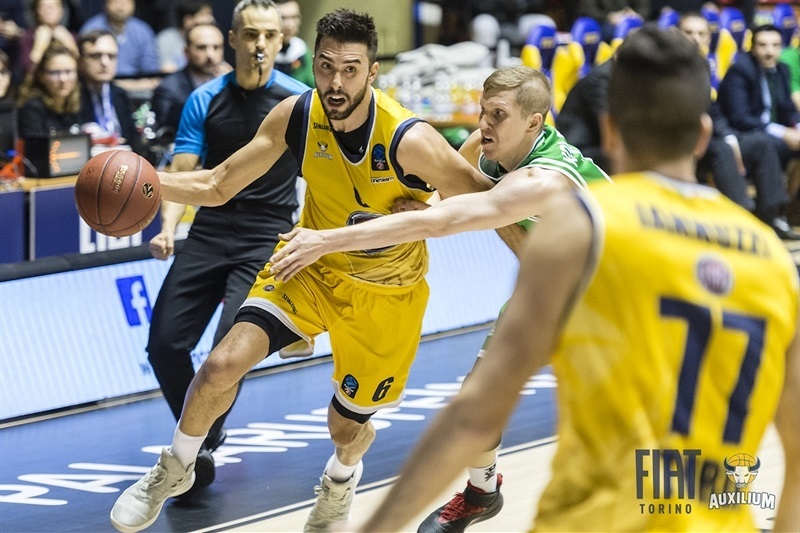 Markota rescued Cedevita with back-to-back triples, but Prepelic and Campbell answered from downtown and an unstoppable Ware gave the guests hope, 57-42, at halftime. Musa scored in penetration soon after the break, but Prepelic and Campbell each struck from beyond the arc in an 0-8 run that brought Levallois within single digits, 59-50. A jumper by Leslie brought the guests even closer, 62-54, but Markota hit a triple and free throws by Cherry and Murphy gave Cedevita fresh air at 71-57. A step-back jumper by Odom and another three-pointer by Prepelic brought Levallois within 72-62 after 30 minutes. Free throws by Prepelc and a tip-in by Leslie made it 72-67 early in the fourth quarter. Levallois missed a couple of shots to get even closer and back-to-back layups by Cherry set a 76-67 Cedevita lead. A layup by Zganec sealed the outcome, 81-67, as Levallois never recovered. "We had already qualified to the Top 16, but still didn't know what spot we would get. We had two options, fourth and third place. By winning this game, we are third and are looking forward to the next round. About the game, Paris came here to play a loose game, with nothing to lose. I think they played great, but we were much better in the first half. We shared the ball and our scoring was phenomenal. That's it; we played a good game and are going to the next round. We think we shared the ball really well and had a lot of assists. It was just a great, great team win. Nothing special."